No two farms are the same and over the last few years I have observed a wide variety of growing techniques used by various farmers to overcome the environmental and economic challenges they face. One of the more interesting and delicious crops causing trouble for farmers are from the cucurbit family. 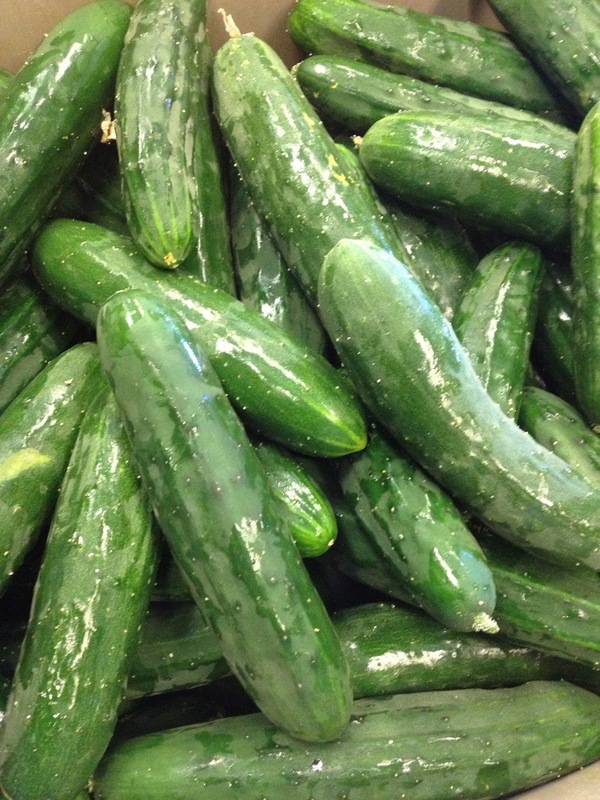 Cucurbits include cucumbers, squash, melon to name a few. With each conversation, I learn about a different growing system and methodology. Here at Cornell, we are working on the ESO-Cuc grant, focused on improving cucurbit varieties and growing practices in the eastern United States where farmers are facing heavy pressure from diseases and pests. The teams, located throughout the eastern region, surveyed farmers from various locations learning the biggest concerns and challenges. 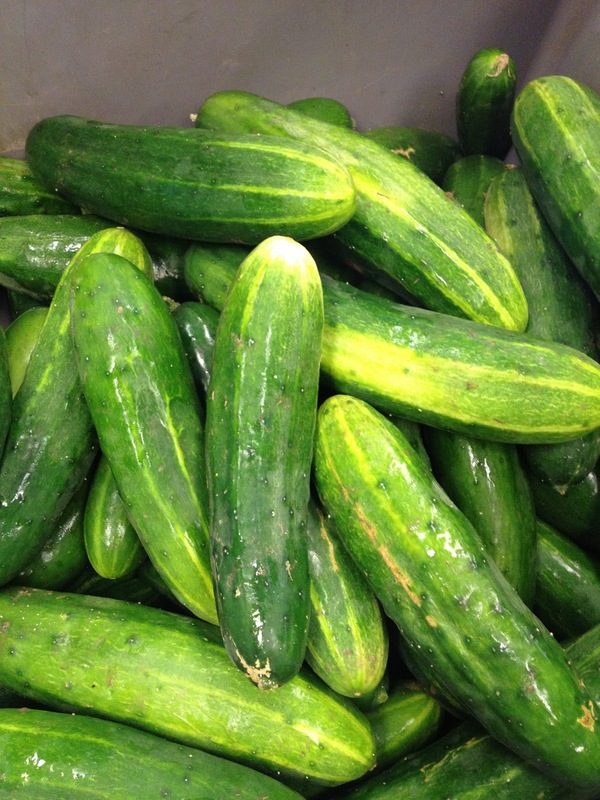 At this stage, we are working to determine the most effective growing strategies, as well as breeding improved and new varieties of cucurbit crops, ones more conducive to farming practices and the climate trends in these areas of the United States. the best price and quality they can find on a consistent basis, many times this includes produce from across the country or across the globe. Since straying from our initial local food communities, many parts of the US refer to quality as an aesthetic only, not considering flavor or nutrient density. As each new generation becomes further removed from a direct relationship to its food source, we forget that fresh fruits and vegetables can taste delicious. In my opinion, a locally grown, fresh picked fruit, vegetable or herb is more likely than not going to have the advantage in flavor, nutrient density and overall "quality" over something picked unripe and shipped for days on a boat, plane and truck. If eastern growers cannot provide a consistent, quality product, they won't be able to compete, leaving delicious local produce off of our shelves. 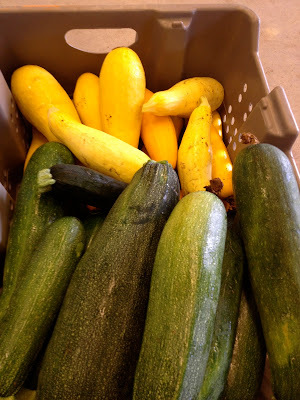 Cucurbits such as cucumbers, squash and melon are also standard crops that consumers, like me, expect to see at local stores and markets, but more farmers are having trouble getting these from the farm to the market and eventually our tables. This grant takes on these challenges with a team of plant breeders, entomologists, pathologists, extension agents and farmers. In order to determine the best practices to recommend and a target for breeders to focus on, we are running trials in various locations throughout the eastern US, one of which is right here on our research fields at Cornell. I've been given the reigns of a comparative study using three different growing techniques farmers most commonly use to grow cucurbits: Open field, in which cucumbers, melon and squash are planted out into a field with black plastic mulch to prevent weed competition and irrigated as needed. Row cover, in which these crops are given an added blanket-like layer of protection for a few weeks while they are young and vulnerable to pests. Finally, high tunnel, a large standing structure that provides added protection from pests, a controlled environment as well as a trellising system for easier picking and less fruit damage. The purpose of running all three is to compare how each portion reacts to pest and disease pressures and to determine if the economic return through yield measurements outweighs the cost of labor required. This is the practice with the least labor, the least protection and what we've found so far, the most susceptibility to pest pressures. With no added covering, the open field plants were more vulnerable to the harsh spring rains and winds leaving many of the young transplants with split stems or completely eaten by Striped Cucumber Beetles. They have been slower to fruit and those plants that have survived, have produced fewer fruit than the others. This familiar Agribon material creates a microclimate/greenhouse effect in that it allows around 90% of the UV light in, while preventing much of the heat from escaping. This is what we used at the Stone Barns Center to add extra warmth during the cold winter months instead of pumping up the propane heat. 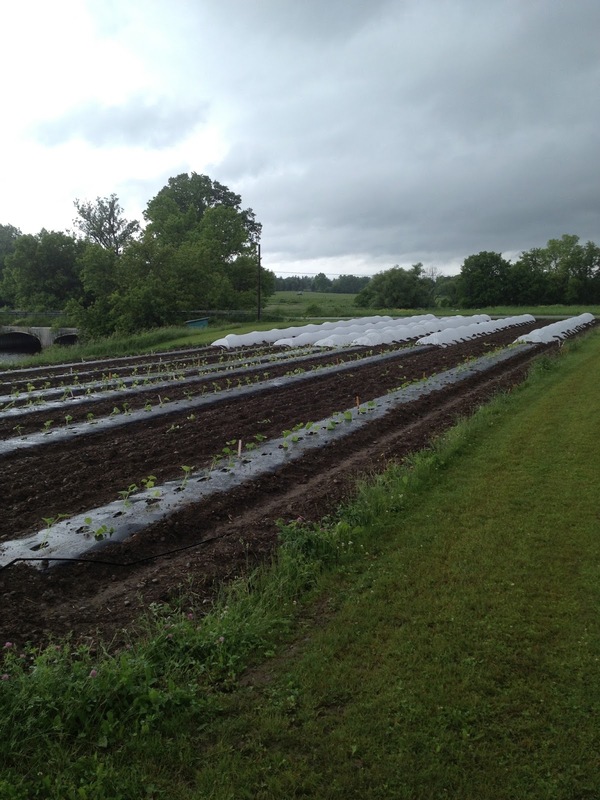 We also use this at Four Season Farm to cover our fall and winter vegetables and spring onions in the fall. This is great for season extension for growing into the colder months and starting earlier in the spring as we've seen with our cucumbers, squash and melon. The row cover stays on about 2 1/2 weeks for cucumbers and squash and about 3 or 4 weeks for melons. 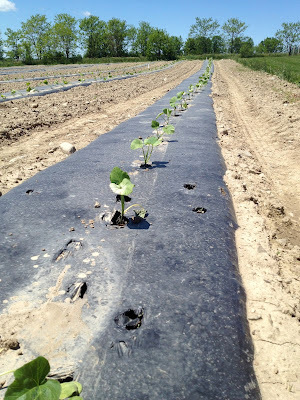 Obviously, this all depends on the outside temperature and moisture, but the idea is to use the row cover while the plants are young and vulnerable to attack by Striped Cucumber Beetles, which are in full flush during the spring when transplants go in the ground. After the plant establishes itself, but before female flowers begin to open, we ideally remove the row cover allowing pollinators access to the fruit as well as providing space for the vines to sprawl. The high tunnel is very different from the other two options because the amount of labor increases, but also because the environment is more intensely controlled i.e. water, temperature, wind. 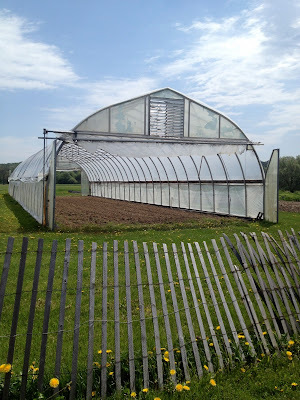 In the open field we added no additional labor, in the row cover section, we added the placement and removal of Agribon, the high tunnel involves weekly pruning and trellising. Nevertheless, the fruit production is consistent and the fruit quality is head and shoulders above the other two option as far as marketable fruit so far. We've also been able to get earlier fruit production in the high tunnel than the other two areas. All plants were transplanted on the same date, but you can see how different they look at this stage. Below you can see that not only are there more surviving plants on the row cover side, but they are significantly stronger as well. Now that I've introduced the project and provided a little background, stay tuned for the results of what we find. As I try to get a deeper understanding of the science and art of agriculture, I continue to present the ideas which I am learning and practicing. Through this practice and the responses and questions I receive, a certain connection develops between myself and the work. What I've gathered most importantly thus-far is that agriculture, as is life, is an attempt at creating balance. A mix of subtle and intense adjustments together creating a balance, the illusion of stillness, but in reality a never ending back and forth. With each still moment is a hidden flicker of left then right, right then left, constantly moving. What are the dimensions of this one and how much does it cost. I am looking for something for Outdoor Archery .